The front end of innovation is where ideas are generated and shaped into new product concepts and projects that populate the product development pipeline. We believe the process begins well before generating ideas. The most successful innovators begin product development with a systematic process of Discovery. They create a body of knowledge that informs idea generation. Ideas are then transformed into concepts and validated prior to investment. We facilitate innovation teams through our three phased front end process and create winning innovations the entire organization can get behind! Through research and discovery workshops, we systematically explore what's driving the market, customer or consumer needs, and evolving technologies that can create solutions to solve customer needs. The knowledge we create informs idea generation and concept development. What we learned during Discovery is used as catalysts for ideation during Innovare Greenhouse workshops. Innovare Greenhouse workshops are designed to help cross functional teams think differently, keep in a developmental mindset and create beginning ideas and working concepts for new products, technologies, and innovation strategies. 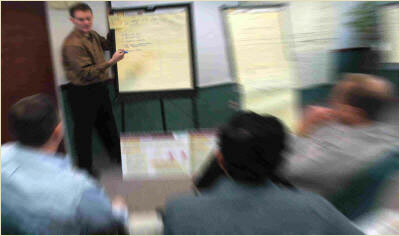 During team and customer workshops, we refine the concepts and build a project portfolio of priority innovations. We refine the products aligning features with customer requirements with an eye towards delivering value enhancing customer experiences. We roadmap the technologies and organizational capabilities required to develop and implement the innovations. We estimate the market value and build a case to support each proposition. A well executed front end enhances the firm's ability to innovate. It builds the knowledge to create new opportunities and provides the evidence to support the needed investment. It builds management confidence, encourages buy-in, and gains alignment across the organization. Our customer research as well as our technology discovery services have been designed to help clients create a deep understanding of market drivers, evolving capabilities and technologies, and customer needs to inform idea generation. Our approach applies across industries and is adaptable to most innovation environments. We have driven innovation success to new venture startups to mature global businesses creating value through customer-centered innovation. Provides strong organizational alignment around innovation opportunities, reducing implementation barriers. ©2001- 2010 Innovare, Inc. All rights reserved. registered trademarks of Innovare, Inc.